If you do plan to have your soil tested for lead, be sure to check out our Conservation Directory for a list of local soil testing laboratories in the Soil Testing section. 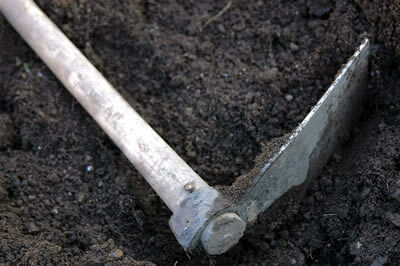 Some gardeners are also interested in testing soil for pesticides. This can be difficult unless you know what types of pesticides you are looking for, and even then it can be very expensive (as much as $200 per sample). The more information you can find out about what types of pesticides you know or suspect were applied, the easier it will be to test for them and interpret the results. Since any pesticides that stick around would be bound to the soil, we recommend washing your garden produce very thoroughly!